With the latest model of its Sprinter City 75 series, Mercedes-Benz has won over the international specialist jury at this year’s Minibus Euro Test in Madrid. 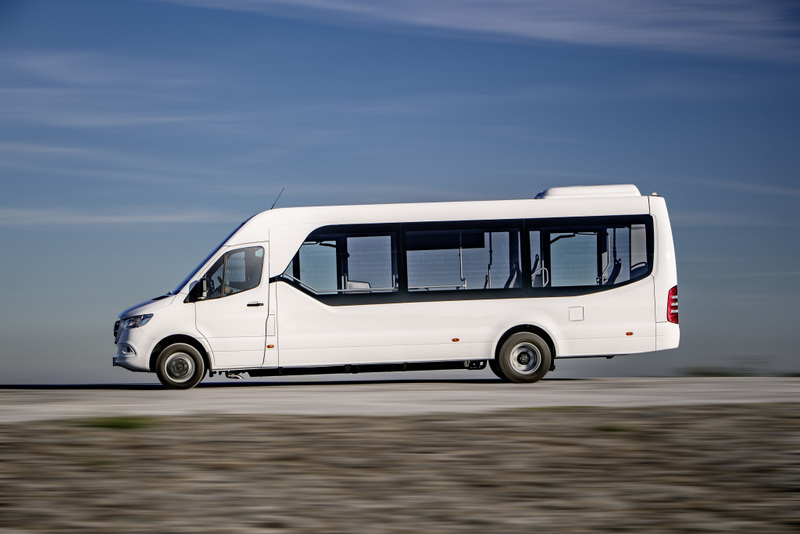 On the basis of the new Sprinter generation, a vehicle has been created which not only offers an impressive amount of space and numerous technological highlights but which also demonstrates how modern public transport with minibuses works. 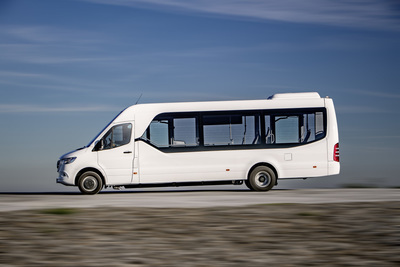 Journalists were particularly keen to highlight the fact that the manufacturer has managed to create space for up to 38 passengers and has used the space available to them as efficiently as possible. By implementing the new high-load rear axle, the vehicle’s economic efficiency was again able to be drastically improved. Mercedes-Benz Sprinter City 75 receives the award „Minibus of the Year 2019“. 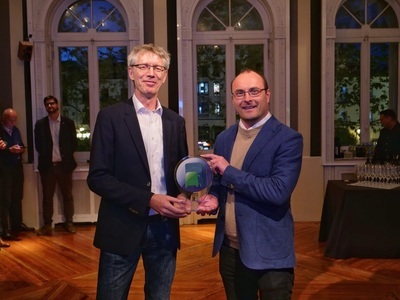 From left to right: Bernd Hülsmann, Head of Marketing and Communications Minibus GmbH, and Tom Terjesen, Chairman of the international Bus and Coach Jury. 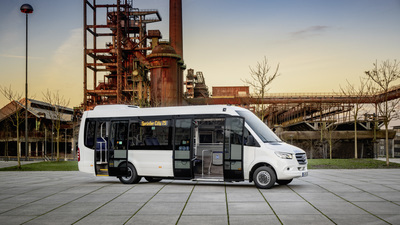 One aspect which received special credit was the independent vehicle design which is wholly representative of the higher demands placed on local public transport. 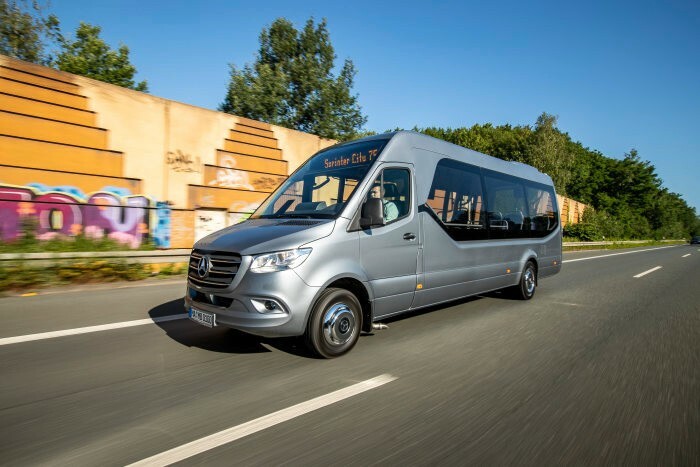 More specifically, its high-drawn panoramic windscreen doesn’t just ensure passengers enjoy an impressive view to the front, it also provides a discreet location for the destination display. Unique in this vehicle class are the large side windows which deliver a sense of openness and a modern touch. 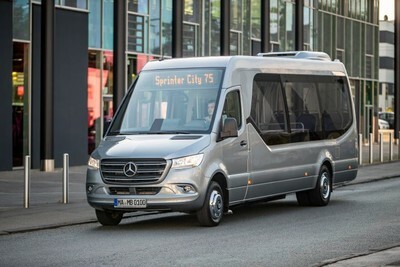 The technology used on-board the new Sprinter City 75 was also able to convince the specialist jury of the vehicle’s strengths, both with the standard auxiliary brake which delivers 350 Nm of braking output and the numerous assistance systems which make the minibus one of the safest in its segment. Among the systems on-board are the electronic stability program ESP which comes as standard, as well as Crosswind Assist and Active Brake Assist.